Meet our brand new Mercedes-Benz V-Class that has just arrived! It is an extra-long model, with a black exterior and a black leather interior. The highly comfortable van can accommodate up to 7 passengers and up to 9 medium-sized pieces of luggage. Our latest addition features tinted windows, LED ambient interior lighting, LED headlights, air conditioning, portable car heaters, a multi-zone climate control, radio, navigation, and electric rear doors. 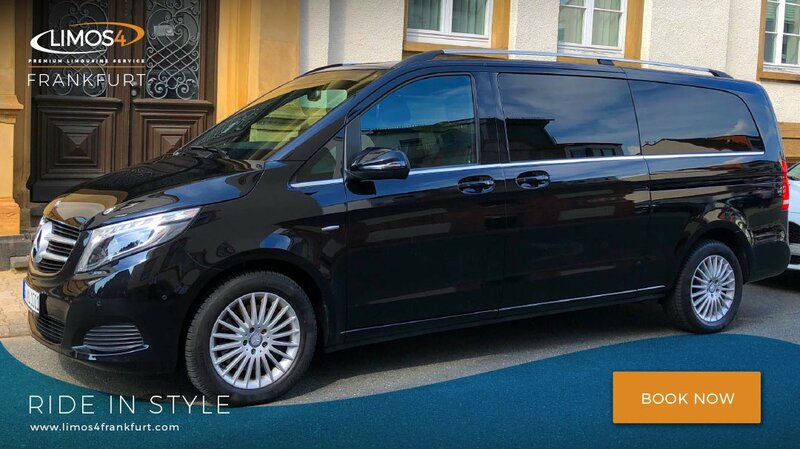 Whether you are traveling with your friends, family, or colleagues, in Frankfurt and the surrounding areas, make sure you get the best of your chauffeured transportation service. Prebook our state-of-the-art vehicle at the most reasonable rate!